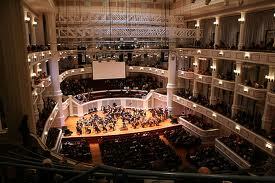 The Palladium concert hall has drawn sellout crowds and critical praise since its opening night in January. But it's not a financial success story -- not yet, anyway. The Palladium, the centerpiece of Carmel's $175 million Center for the Performing Arts, isn't close to breaking even. Each of the past two years, Carmel taxpayers have subsidized the center to the tune of $2 million. This year, its management will seek more public money -- perhaps as much as $4 million, Steven Libman, the center's president and CEO, recently told Carmel City Council members. "It's been more popular than we ever believed," Libman said. "The people in this community aren't going to settle for mediocrity. They only want the best, and that's what we will give them." The Palladium sold 93 percent of available tickets for its inaugural 24-concert series. If the venue is doing well, selling an incredible 93% of tickets available, more popular than ever believed, then why would projections on the needed subsidy be so far off? Perhaps Mayor Brainard, as he is known to do, played fast and loose with the revenue and expense projections for the facility? I have to give Mayor Brainard some credit. If this were Indianapolis, we taxpayers would have paid to build the Palladium and then we would have given away ownership and revenue of the building to private contractors. When I read this article this morning I just had to chuckle. Their financial genius came down to - if we lose $2 million now, and we double our bookings, we can lose $4 million next year. This article seems like only part of the whole story. There is no mention of the other two venues opening this fall. What effect will they have on the budget? Will they add to the deficit or help subsidize the Palladium? Today's proof that government is merely a form of organized crime.